Reprinted From WAFA News Agency: A report by the World Health Organization (WHO) revealed that almost half of the Palestinian patients in the Gaza Strip, who need treatment outside of the besieged Gaza Strip and applied for exit permits from Israel, have their exit permit applications delayed, and lost their hospital appointment as a result. In its report on Health Access for Referral Patients from the Gaza Strip covering the month of November, WHO said that out of 2,047 patient applications for permits to exit Gaza through the Israeli Erez checkpoint for health care, 54% of applications were approved; 2% were denied; and 44% were delayed, receiving no definitive response from Israeli authorities by the date of hospital appointment. Losing the appointment date means the patients have to re-schedule their hospital appointment before they can re-apply for an exit permit, a process that can take months and therefore cause long delays for possibly badly needed treatment not available in Gaza. Most of the referrals are for hospitals in East Jerusalem and Israel, with some to the West Bank and Jordan and many are for cancer patients. In addition, out of 2,351 permit applications for patient companions to Israeli authorities in November. 43% were approved, 2% were denied and 55% were delayed, still pending by the date of the patient’s hospital appointment. 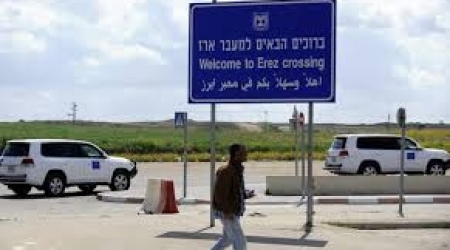 The report said 58 patients (37 males; 21 females) were requested for interrogation by Israeli General Security Services at Erez during November. Only seven were approved permits to travel for health care. Palestinians in Gaza were also advised that permit applications will take 26 working days to process, more than twofold increase from 10 working days prior to May 2017, said the report.